A cozy, beautifully decorated 2 bedroom, 1 bath duplex that is a short walk straight down King Avenue to the ocean with good beach access. Open living, dining kitchen floor plan. You will love the decor. Central heat and aircondioning, ceiling fans, covered bike storage and charcoal grill. Small screen porch and patio. The Golf Courses and Tennis Courts are nearby. NO PETS. NO SMOKING ALLOWED. Accommodates 4. 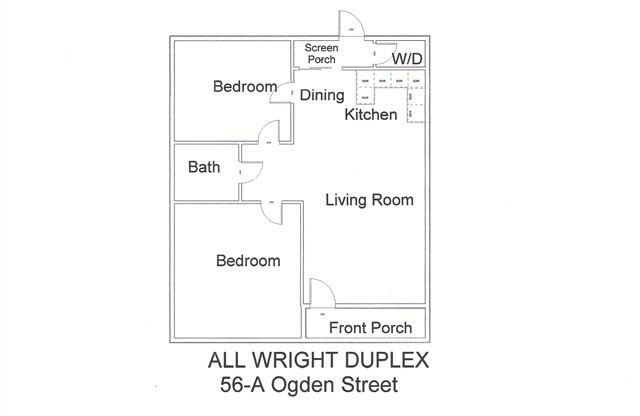 Please contact me with information regarding All Wright Duplex.